Awakening the Goddess within is every woman’s birthright. As cyclical beings, we are endowed with countless sacred feminine gifts, and learning how to honor and harness them can help us own our feminine power wholly and unapologetically, and become flourishing forces in the world. What is the Triple Goddess? While there are goddesses across all times and cultures that represent every facet of life, the Triple Goddess in particular captures the essence of all life: birth, growth, and death/tansformation, and eventual renewal. As such, they symbolize this divine dance throughout the cosmos: from the formation and destruction of stars throughout galaxies, to the phases of the moon in our sky, to the change of seasons on Mother Earth. Traditionally presented as the Maiden-Mother-Crone archetypes, these goddesses support every milestone of a woman’s journey: from entering womanhood (Maiden), to embracing motherhood (Mother) and empowering us in menopause (Crone). They show up every month at each phase of our menstrual cycles, and understanding how to embrace their gifts throughout all stages can make the difference between merely getting through or joyously thriving through them. In my own life, experiencing extensive physical and emotional abuse form my parents and childhood sexual abuse from relatives, combined with a patriarchal religious upbringing where I was taught to feel ashamed of my body and hide my femininity unless I wanted to “be on the street,” contributed to—among many emotional and psychological wounds—extremely painful menstrual periods throughout my teens, where I was often bedridden and on prescription medication. 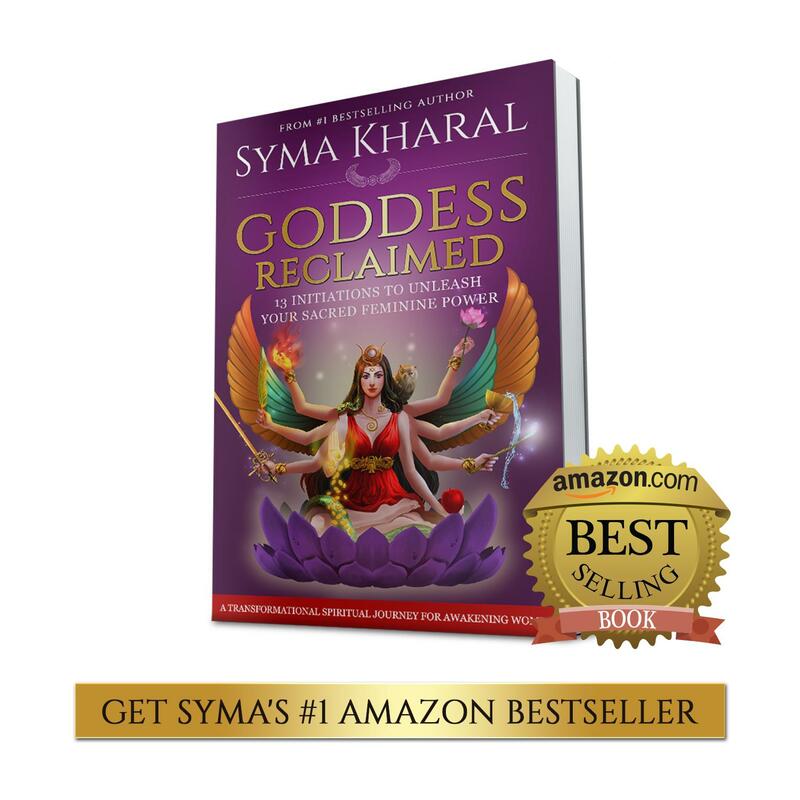 It took just as many years to heal the effects of the traumatic experiences and damaging messages, and reconnecting with the Goddess was one of the most powerful contributors to my transformation journey. Once I fully recovered my divine self-worth and the inherent sacred feminine wisdom of my body, all my dreadful symptoms transcended into magical strengths. When we learn how to embrace the gifts of our cycles each month and at every phase, we start embodying the essence of the Triple Goddess and cultivate the power to create our lives as we wish. We know exactly when and how to focus our energies so that we become in sync with optimal timing for the conception, creation and fruition of our highest intentions. On my path, beyond just helping me heal my relationship with my cycles, my body and my self, connecting with the Goddess has helped me: Manifest and marry my beloved soulmate Eric, who makes me feel like a goddess every day; Take back my power by quitting a toxic corporate career and commit to my true calling as a sacred feminine coach, spiritual healer, goddess and author; And most blessedly, support women all over the world to reclaim their feminine power, co-create their dreams, and flourish into the goddesses they truly are. Who are the Triple Goddesses? 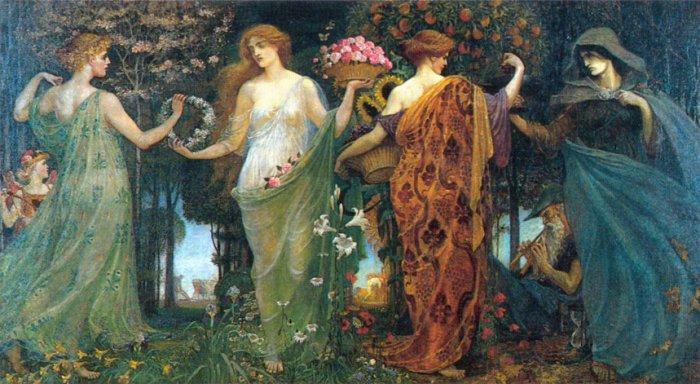 As Greek Persephone, maiden of spring and queen of the underworld, Demeter, earth mother of the harvest, and Hecate, wise, magical crone—the luminous one who has dominion over light and dark forces. As fiery Celtic goddess Brigid in her forms as Bride maiden, Brig, warrior mother, and Brigid alchemist and healer. In Hinduism she is Shakti, the one who manifests as all goddesses, but as a Triple-Goddess appears as Sarasvati, the flowering muse of art and all knowledge, Lakshmi, the loving bestower of abundance and success, and Kali, the fierce warrior of destruction and liberation. The diversity and complexity of each goddess from each trine reveals just how multidimensional the characteristics and gifts of each sacred-feminine aspect are. As such, it is important to explore and honor the mysteries and strengths of our own womanhood and each cycle we find ourselves in. It truly is a beautiful, life-long process that once fully appreciated and actualized, empowers us to express our divine feminine wisdom in all its facets. In doing so, it elevates every part of our lives. To embody the gifts of pleasure, passion and bliss we receive from the Maiden-Goddess, treat every morning as the fresh start and new beginning that it is, and set a conscious and uplifting intention for yourself. 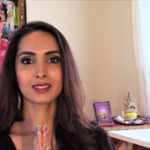 A truly Maiden-Goddess approach is to focus more on how you want to feel all day, and then prioritize our time and energy around your intentions. For example, if you want to feel joyful, don’t start the day listening to the news. Instead, play music or listen to an inspiring podcast that lights up your soul as you get ready. If you want to feel purposeful, work on the projects close to your heart first instead of responding to other’s emails, requests and demands. Set time to address them after, or if possible, delegate! Even as you approach the necessary to do’s in your life, you can do so with the intention of creating more joy (or whatever feeling you wish). So, if you need to dress your kids for school, why not sing and dance with them while doing so? Or let them pick something super cute, unmatching and silly with a smile on your face and joy in your heart? When you start the day by intending to honor how you want to feel, the energy behind all your actions and interactions shifts and uplifts. And as that happens more consistently, your outer world begins to reflect your inner world back at you. It’s pretty magical stuff. First, it’s important to share that embracing the Mother Goddess archetype does not mean or necessitate being a physical mother—Her gifts are available and accessible to every woman. What connecting with this sacred feminine energy does mean is ensuring that first and foremost, we are “mothering” ourselves. Many of us women tend to others’ needs before our own, and consequently end up feeling like drained martyrs more than flourishing goddesses. Honoring our inner Mother Goddess selves is about nurturing and tending to our needs, desires and goals at least as much as we do others. To harness the tender loving care of your inner Mother aspects, commit to a nourishing daily ritual as a way to feed your heart and soul before you serve and support others. It could be creating a beautiful meal for yourself, taking an afternoon tea break, replenishing your mind-body-soul in nature, indulging in a cat-nap, or just unplugging from the world (turning off all social media, email and phone notifications) and plugging fully into your beautiful world for at least a small block each day. As you invest this maternal, loving time to care for yourself, you will have so much more to offer to everyone and everything that you care for, because you will be offering from an overflowing chalice, rather than an empty one. Like the Mother, the crone goddess is within each woman, no matter what our age. While we are crowned into “crone-hood” at menopause, we can harness Her wisdom, courage and power any time we need. The surest way to invoke your inner magical warrior goddess crone wisdom is to create sacred space—physically, spiritually, mentally and emotionally. Designate a place in your home that is your personal sanctuary. Ensure it is clean and beautiful and feels sacred to you, and then dedicate daily time to retreat there, ideally at the start and end of your day. Even five minutes to connect with your inner voice and higher self will do wonders in keeping you strong, centered and empowered each day. This is your private haven for meditation and contemplation. Retreat here whenever you need to connect with yourself, and spend some extra time whenever you are experiencing intense emotions to honor and process your feelings, release what’s not serving you and clear the way for new beginnings—continuing the sacred cycle with the help of the Maiden Goddess all over again. The gifts of the Goddess are endless, and these are just three simple daily practices to connect with the countless blessings of the Triple-Goddess alone. 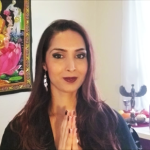 As you embark on the journey of reconnecting with your sacred feminine self in these small but significant ways, you will awaken within you pure power and deep wisdom that you may not have known you had, but has been within all along. For the Goddess in you has been waiting to resurrect Herself through you, as you. It’s time to let her out, beloved sister. 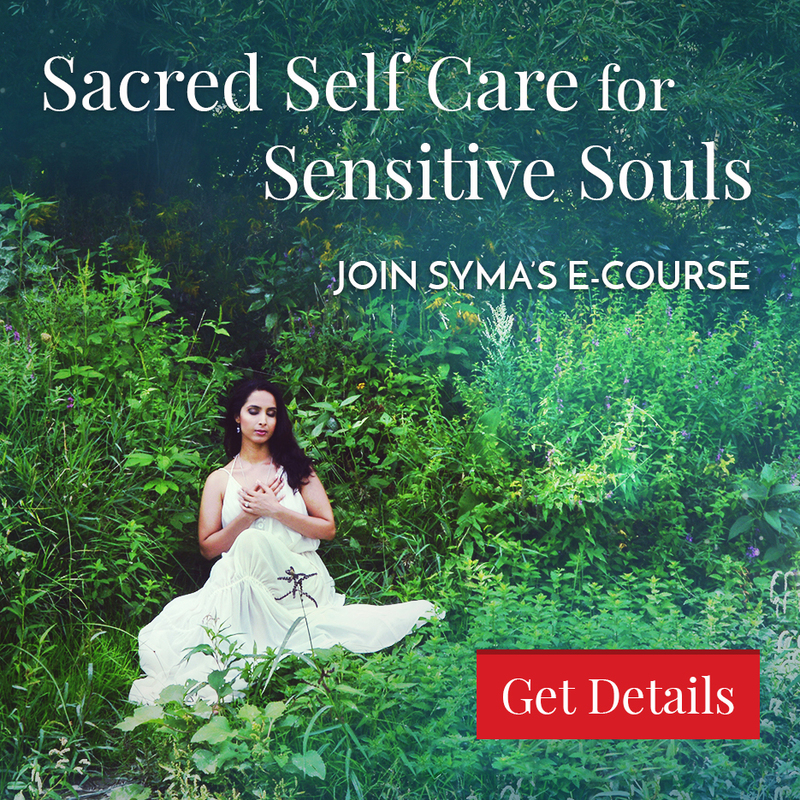 To recover and reclaim your own Triple Goddess gifts, start with a Goddess Initiation Session with Syma, and then explore her transformational 40-Day Triple Goddess Coaching Program.